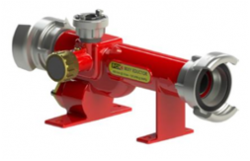 A full range of Branches, Nozzles Controlers and monitors are available all manufactured to a very high standard with the best materials being used in their construction, to ensure they provide years of trouble free use. 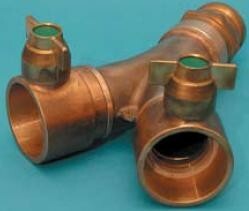 Any type of hose connection can be fitted in place of the shown "Instantaneous Couplings". The range available is vast please contact us to ensure you have the correct details and specifications. 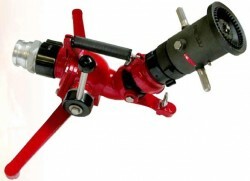 Note: We are updateing all the Nozzles and branches please contact us for full details. Debi: with teeth cut into the aluminiium alloy. Magi: with teeth cut into the rubber buffer guard. 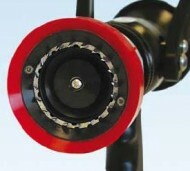 Selecta flow: Allows for controlled adjustment of water flow through the branch. Automatic: The branch automatically adjust to the pressure and flow of water. Constant flow: The branch is set to a desired flow setting. Dual Pressure: Allows for the same Flow at different pressurs. The Automatic range of branches automatically adjust to the Flow and Pressure of water. 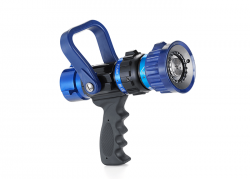 Legend 400 400 lpm For electric fires. Legend 500 Multi stream 500 lpm Simultanious various stream paterns. Legend 750 Multi stream 750 lpm Simultanious various stream paterns. H-500-19 19mm Hose. 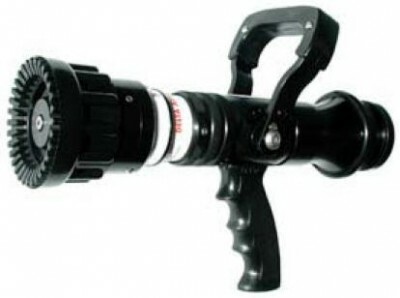 Hose reel. 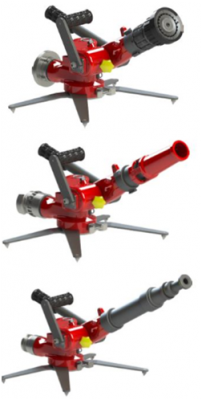 This type of branch allows for the user to "Pre select" the nozzle which is then set in the factory allowing for the set amount of water flow through the branch, available in a variety of sizes and all with spinning stainless steel teeth to create a better water stream and pattern. 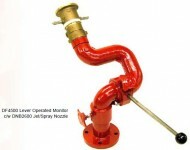 High Pressure Nozzles a full range available. 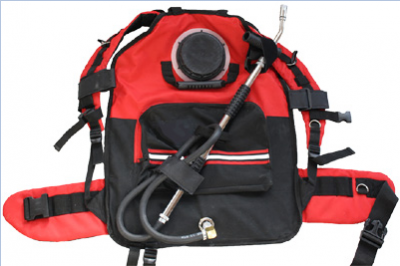 The donges water Backpack can hold; 19 ltrs of Water or water addative mixture. It is very simple to use and clean following use; the highly padded straps and suports ensure a perfect fit, which makes for a comfortable wear. The wide opening allows for the unit to be refilled easily whilst still being worn, without the wearer being soaked, the padded straps have additional loops and atachment points for other items to be fixed. 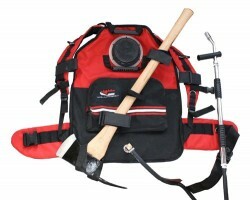 The external fitted zip pocket allows for the user to carry loose items plus a bottle of drinking water, and the external straps allow for larger items to be atached. 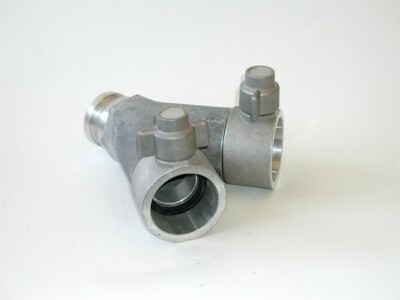 Collecting and dividers are available in a variety of types and sizes from; use in the hose line to attachment onto the pump inlet. 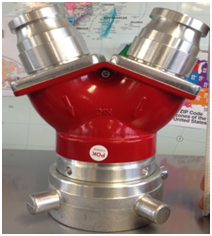 Standard: With normal couplings but no control facility, constant flow. Controlled: With the facility to turn off individual hose lines. They are available in several construction materials to allow for different environments and types of water, as not all are suitable for each. For full details of sizes and types contact us for the range details. Types: Fixed, Portable, Remote control. 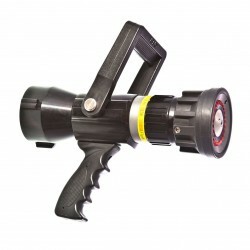 Sizes:In Litres per minute from 1,900 L/per min to 10,000 L/per min. Due to the many size differences and methods of use and fitting, please contact us for full details. 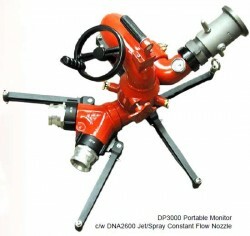 All our equipment is supplied from approved quality manufacturers. 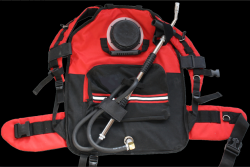 Water Backpack, (see Water Delivery).